With the potential to impact weather patterns, agriculture, and habitability of certain regions, global warming is a topic of interest to environmentalists, scientists, as well as farmers around the world. The threat of food shortages and famine especially becomes a major concern as a result of recent climate shifts. 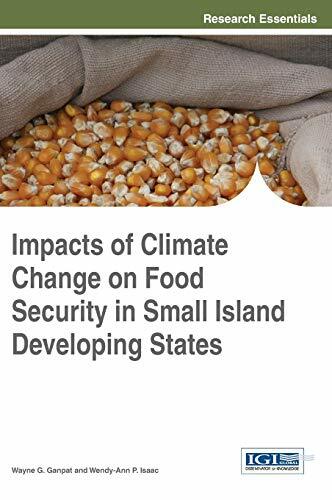 Impacts of Climate Change on Food Security in Small Island Developing States discusses the repercussions of a shifting climate on food production and availability in small island nations. Comprised of research-based chapters on topics relevant to crop management, sustainable development, and livestock management on island territories, this advanced reference work is appropriate for environmental researchers, food scientists, academicians, and upper-level students seeking the latest information on agricultural concerns amidst a changing climate. Wayne G. Ganpat, The University of the West Indies, Trinidad and Tobago. Wendy-Ann P. Isaac, The University of the West Indies, Trinidad and Tobago.